By Melissa Lennig on June 4, 2018 2 Comments. This content contains affiliate links. As an Amazon Associate I earn from qualifying purchases. 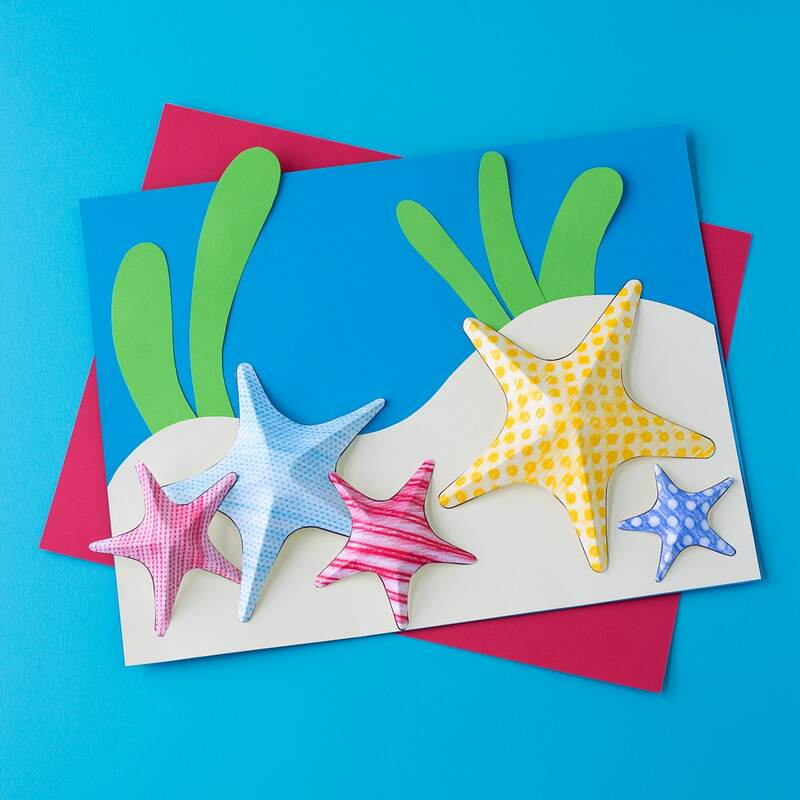 Inside: Summer is the perfect season for creating ocean-themed art. 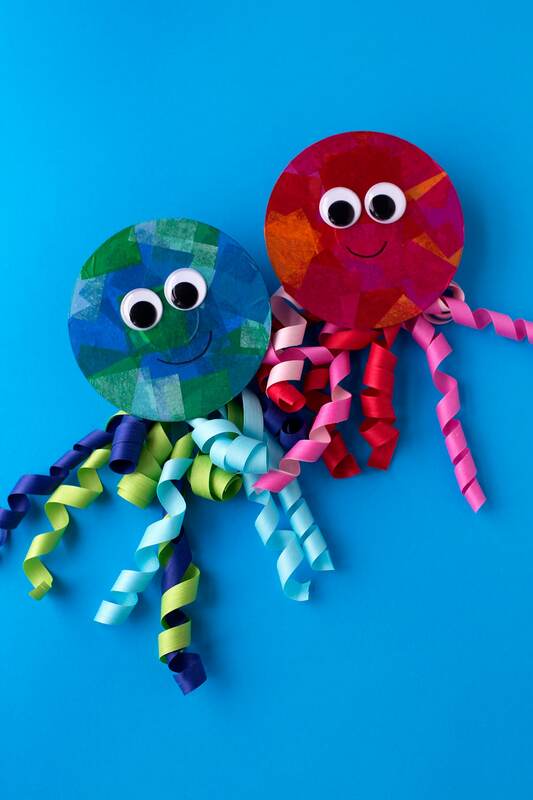 In this post, learn how to make a colorful upcycled CD and ribbon jellyfish craft. 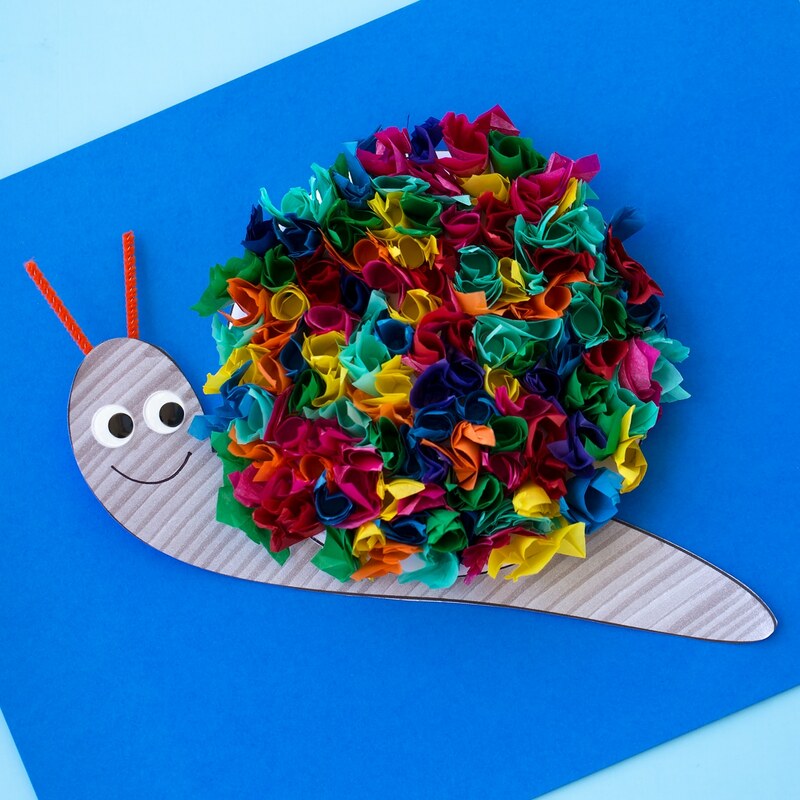 This easy craft is perfect for home, school, or daycare. Summer is flying by, but it’s not over yet. 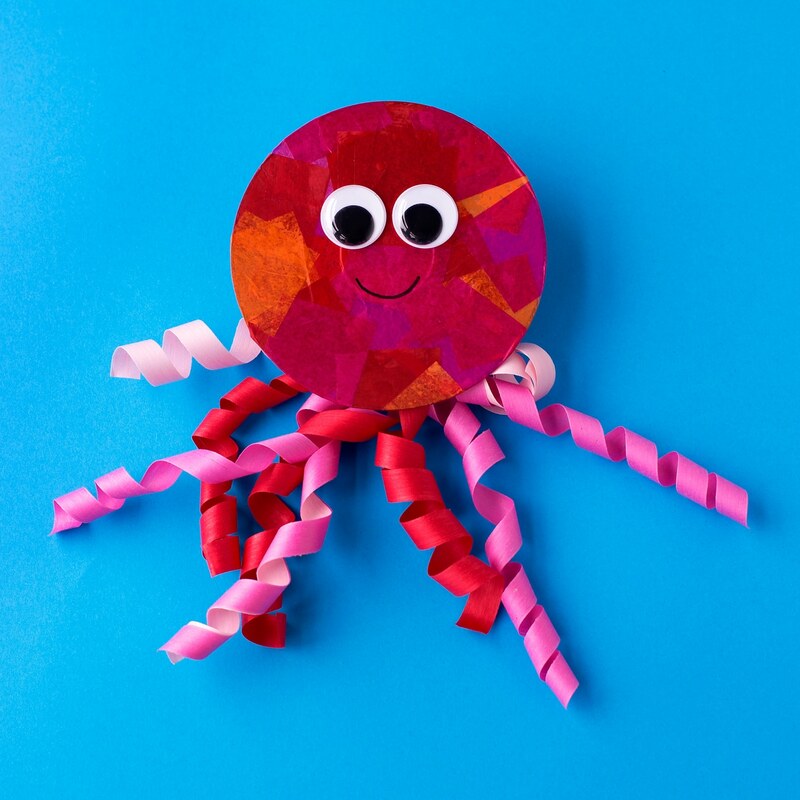 If you are planning a trip to the beach or are studying ocean animals in homeschool or preschool, then this upcycled CD and ribbon jellyfish craft is just what you need! 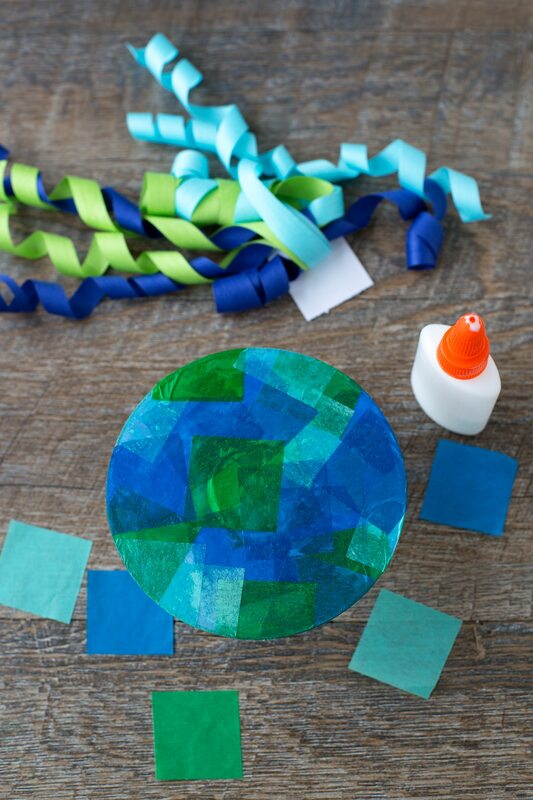 This easy craft is the perfect summer boredom buster. Kids love crafting with old CDs, and the layered effect of the tissue paper is beautiful. 1. 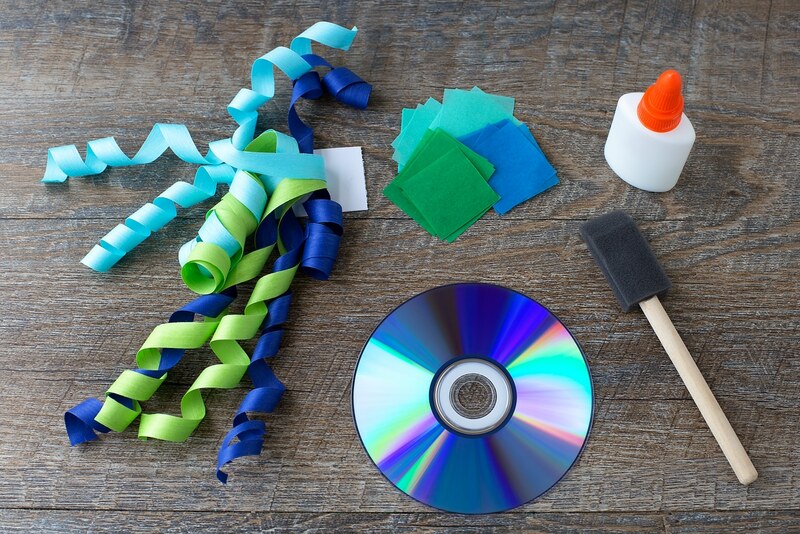 Spread glue over the back of the CD with a brush. 2. Press tissue paper squares over the glue, wrapping the tissue paper over the sides. Allow the glue to dry. 3. Glue 2 medium-sized wiggly eyes to the CD. Invite kids to draw a smile on the jellyfish with the black permanent marker. 4. 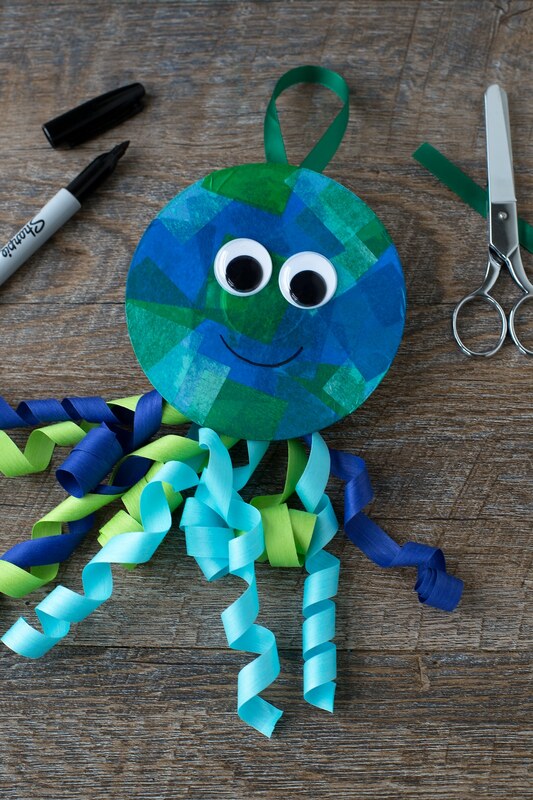 Next, glue or tape the ribbon to the back of the jellyfish. We used ribbons leftover from my son’s birthday party. 5. 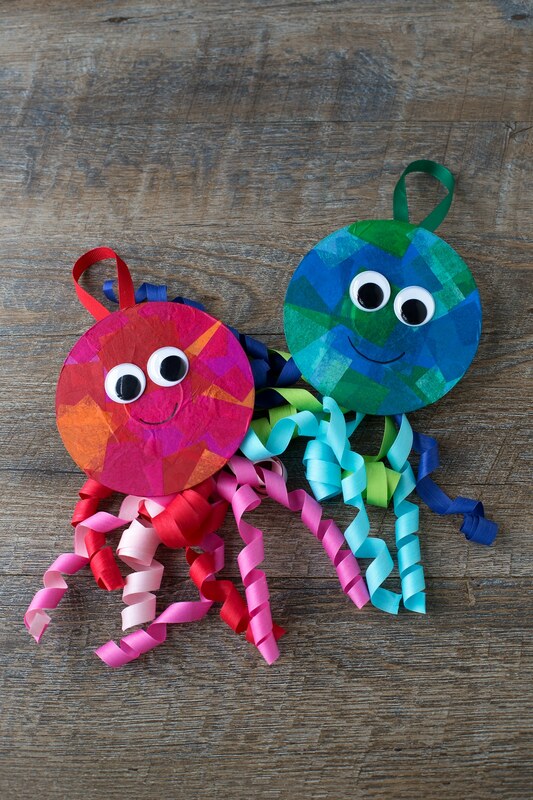 Glue or tape a loop of ribbon to the top of the jellyfish so kids can hang it up. Aren’t they cute? Perfect for summer! 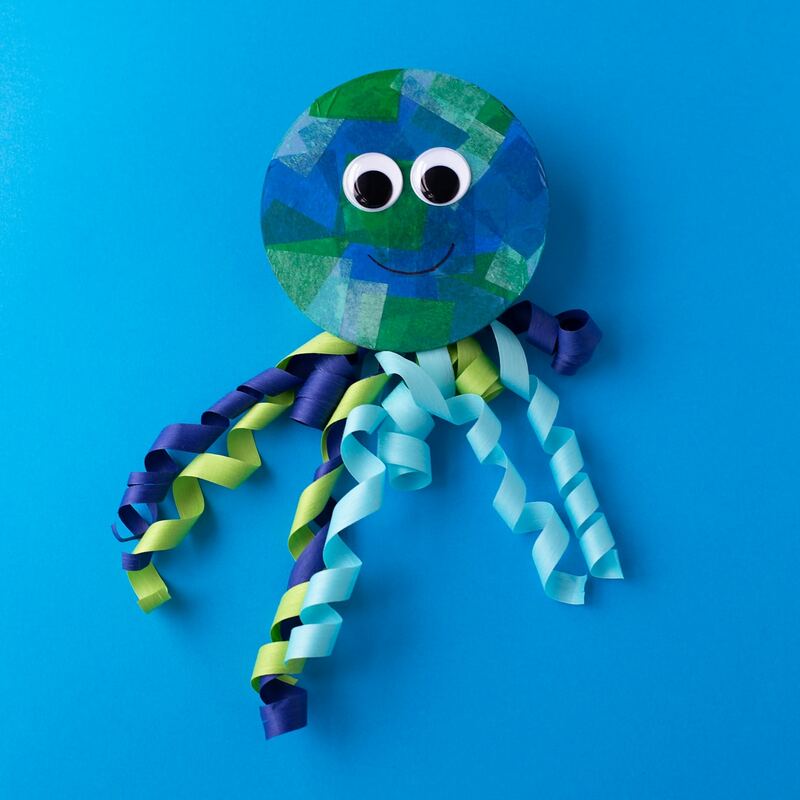 Click the images below to view more colorful ocean animal crafts for kids. I love these projects. I help teach Pre-K and I use Pinterest for everything. 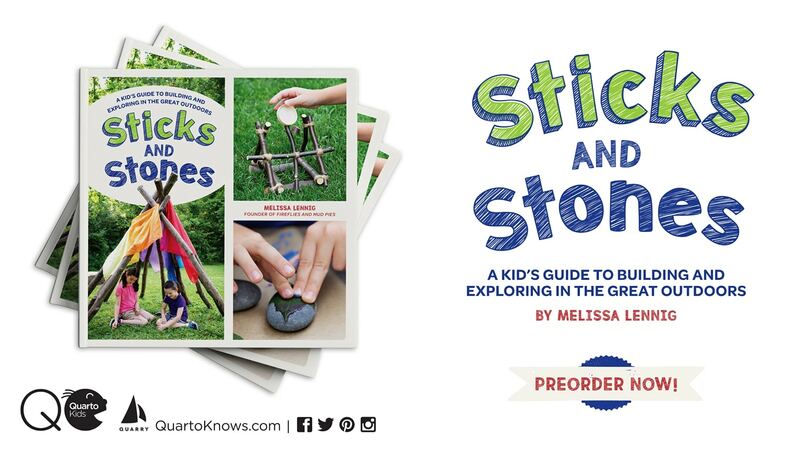 Thanks for sharing these cute activities for the children. Thank you so much for taking time to let me know, Carol. That means a lot to me!